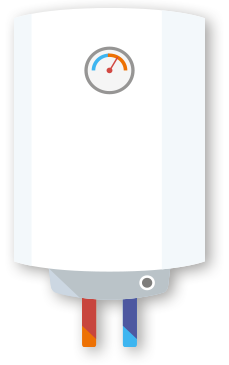 Gas combi boilers using the GasSaver stored flue gas heat recovery system are the most efficient boilers available today. 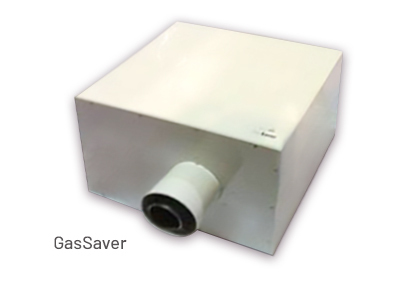 GasSaver is a patented technology – no other flue gas heat recovery system is able to deliver the same exceptional level of energy efficiency and cost savings. 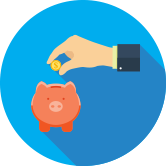 GasSaver requires no maintenance, zero interaction from the consumer and will deliver exceptional savings on energy usage and household bills year after year. The GasSaver FGHR system works by capturing waste heat from the boiler and heating system which is reused to heat cold water from the mains. It raises boiler efficiency beyond an ‘A’ rating to enable boilers to reach close to 100% efficiency. The escaping flue gases that vent from a combi boiler into the atmosphere can exceed 70°C during the winter months, which is both wasteful and damaging to the environment. 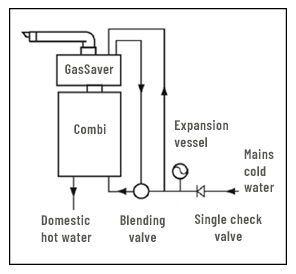 The GasSaver captures this heat to create a self-maintaining thermal store of condensate which is used to heat hot water on demand; this process reduces the temperature of the escaping gases to approximately 20 – 45°C. 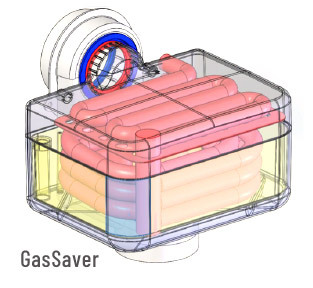 What are the benefits of using GasSaver? Additional benefits for consumers who have a water meter are a reduction in lukewarm water rejection, which represents roughly 20% of UK domestic water consumption. GasSaver technology means that useful water is delivered sooner rather than having to wait for the running water to reach the required temperature. This was commissioned by Canetis from Ecuity Consulting LLP to fully explain the exceptional benefits of stored flue gas heat recovery for UK homes and the wider environment.